I wan to apologize to all my readers waiting for the next book. Thank you for the email of support and request for the next titles. I REALLY appreciate it. While I know my writing is not perfect, and I need lots of improvement, it really touched me to get letters from readers saying they loved my characters (or some of you hated poor cassie!) and my stories. It has been a long time since I've been able to sit down and write. Family heath issues, other calamities and a general funk that goes along with stressful times. But, I'm happy to report that I do have TWO (yes two) books that are in various stages of in-completion, and I've started working on both of them. I am committed to finishing at least one this summer. Ben's story is the furthest along - but I have another story that I started in the middle of the dark days - trying to distract myself - set in Asia. I will keep working on both - but I thought It might be fun to set up a voting both - (mainly because I want to procrastinate just a tiny bit more) and see if any of you have a preference. I'm going to put the first few pages of both up - and then let you pick which way I should go. Again - sorry for the delay - thanks for your patience and I'll do my best! I'm one of the readers that have been waiting slightly patiently, hoping for the next book from you. It doesn't feel like the stories are finished from this series. I hope your health and family are doing well and you can enjoy writing again soon. Truly, Truly, Truly, Ohhhhhhh . . . . I'm a derelict...but loveable anyway. 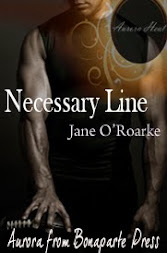 2011- 1015, Jane O'Roarke. Travel theme. Theme images by MichaelDeLeon. Powered by Blogger.